Did you know that roofs need to be managed? Like our cars, bodies, and homes, roofs break down, if we do not take care of them. Here’s the skinny: roofs can leak. Roofs represent 60% of all construction litigation that occurs, and small problems on roofs can turn into major emergencies from an operations and financial standpoint. You get it—a neglected roof is a major problem waiting to happen. But, the biggest issue facing roofing systems, is that building owners and property managers do not treat them as assets, skimp on roof management services, and rely on contractors to advise them despite the fact that most contractors’ endgame is to sell a new roofing system to them. This is where a roofing consultant comes in and works with the owner to develop a roof asset management program. Here are the 5 crucial roof management services provided by a roof consultant designed to deploy routine maintenance and budgeting to prevent a major, unexpected replacement of a roofing system. The first roof management service a roof consultant offers in managing a roofing system is to set up a program for management. 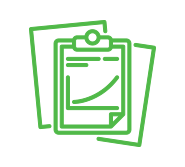 Now, this program is not simply setting up a schedule for inspections. These roof management services are run by a roof consultant to identify and manage your roofing systems. The independent nature of a consultant is key because they are looking out for your best interest. Most contractors, on the other hand, want to sell you a roof or the more deceptive “private label” or “proprietary contractors” say they will be your “consultant” but are really cornering you into a more expensive roofing system. Most salespeople today use the word “consultant” as a euphemism for “salesmen” because the word “sales” has such a negative connotation. An established roof consultant, though, will oversee the initial and annual inspections of the roofs, ensure repairs are being made, develop budgets for repairs and replacement, write specs for re-roofing projects, conduct competitive bids, and perform quality assurance inspections. These actions are under the roof management services program, and when executed by a roof consultant, can save the owner money over time and build brand perception with property managers. Roof inspections are the cornerstone of roof management services. If you are a commercial property owner or manager and have never had your roof looked at by a professional consultant, then an initial inspection is where you start. The main thrust of the initial inspection is to identify your current roofing system and determine a baseline condition for it. This inspection allows the roofing consultant to answer the following questions: How much useful service life is left? Could the roof be repaired or does it need to be replaced? How much would it cost to replace? Answering these questions allows us to prepare for the future of the roofing system, and leads us into the next important roof management service: annual inspections. 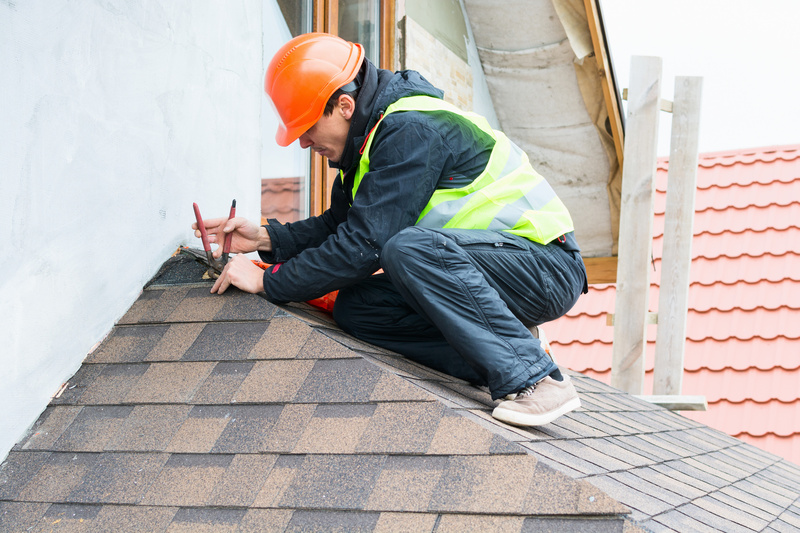 Annual inspections are utilized during a roof’s useful service life for a multitude of reasons. First, any commercial roof should be inspected at least once a year to identify maintenance issues. Second, conducting annual inspections allows the roof consultant to identify potential leak issues and ensure small roofing problems remain small, not expensive. Finally, annual inspections allow the roof consultant to document whether previous repair issues identified in older annual inspection reports have been completed. Thus, implementing an annual inspection program can extend the useful service life of the roof and save money for the property owner. Roofs leak. We all know that, but dealing with leaks is important. Water is the enemy of any building interior and a commercial roofing system’s job is to resist water while draining it from the roofing system. Having a roof consultant perform a building leak analysis and track down your leak is not only important in determining the cause and remedy of the leak, but a roof consultant can also determine the extent of the water damage and identify other potential issues such as drainage design, water-ponding, and installation issues that could affect the useful service life a roofing system. Some roofing contractors, on the other hand, may only be interested in fixing the leak and trying to sell you a new roof. Getting a commercial roofing system replaced can be a daunting task, and when you take it on yourself, you can feel like you’re at the mercy of any contractor who provides you with an estimate to replace the roof. But, with a roofing specification written by a roof consultant, the process does not have to be so overwhelming. Writing a re-roofing specification outlines the appropriate roofing system for your building based on your budget, establishes roles and responsibilities for each party involved, identifies quality contractors to bid the project, ensures a process for quality control by the contractor and quality assurance by the roof consultant, and defines the quality of construction desired on the project. Further, a roofing specification prevents a contractor from interpreting how to do the project and improvising on site. When put out to bid, all of the contractors invited to bid the project have to write an estimate based on the roofing system outlined in the specification. This means all contractors are bidding the same project against other contractors, resulting in a more cost-effective roofing system for you, the owner. At Alliance Consulting and Testing, we partner with building owners and managers to determine the absolute best roof asset management program for your building(s). We’ll establish a baseline for your roof’s condition and work from there to help you maintain your roof and assess it on a routine basis. Are you ready to get started? Contact Alliance today to begin your roof management services.